A mashup of cuisine can always find a perfect wine to match. Back in the day, there was little crossover between restaurant cuisines. Italian restaurants served only Italian food and wine; French restaurants only the food and drink of that country, and so on. Any mixing of the cuisines was deemed suspicious, and the general consensus among gourmands was that chefs could not excel at dishes from more than one country. The internationalization of restaurants and the proliferation of global menus is pretty much taken for granted these days, with critical praise being lauded on Italian/French hybrid restaurants like Parigi, in Clayton. Chef Ramon Cuffie’s recipes are a perfect example of taking the best of both Italian and French cooking to new heights, while retaining the unique characteristics of each. Following his example, the wine pairings for some of his dishes go from Italy to France…with a side trip to South Africa! Arancini (stuffed rice balls) is a staple of Southern Italian cuisine that is thought to have its origin in Sicily. While the traditional stuffing is usually a pork or beef ragu with mozzarella, Chef Cuffie fills these little fried gems with the creamy taleggio cheese and the stewed red pepper, onion and tomato sauce called peperonata. A young, medium-bodied, fruity Italian red wine such as Montepulciano, from Italy’s Abruzzo region, picks up the somewhat delicate flavors of the cheese, while not being overwhelmed by the peperonata. Vino dei Fratelli (“Wine of the Brothers”) is a good value Montepulciano d’Abruzzo available in St. Louis and environs. Risotto (Italian rice that is cooked to a creamy consistency) came from Northern Italy but has been embraced all over the world for its ease of preparation and the myriad ingredients that are added to it. When you add seafood, like shrimp or other shellfish, you could easily be on the Italian or French Riviera, where it is ubiquitous on most restaurant menus. For the Chef’s preparation, with shrimp, romaine lettuce, Italian pecorino cheese and lemon peel, there may be nothing more appropriate than a Chardonnay that is not aged in oak. France is the home of the Chardonnay grape and the Maconnais region, which is pretty much sandwiched between the Northern and Southern parts of the fabled Burgundy region and produces some of the best expressions of the grape. Legendary Beaujolais vintner Georges Duboeuf was born in this region, so it’s only appropriate that his wines from there, like the Flower Label Macon-Villages, is widely available in the United States. If its flowery scent and unctuous mouthfeel aren’t enough, the hint of lemon peel in the wine catches the lemon peel in the risotto, bringing up the citrus accents in both. Octopus is found in many dishes of the Mediterranean countries, including Italy, France, Greece, Spain, Turkey and the African countries that touch it – usually as an appetizer dish where its firm consistency lends itself to charring or grilling. Charred Octopus with green beans, potatoes and lemon vinaigrette is a traditional salad preparation found on many menus – Italian, French or Mediterranean, which encompasses dishes from most of the above-mentioned countries. You could drink a light red with this dish, given the smoke that is usually tasted from the charring, but the lemon vinaigrette really calls for a white. 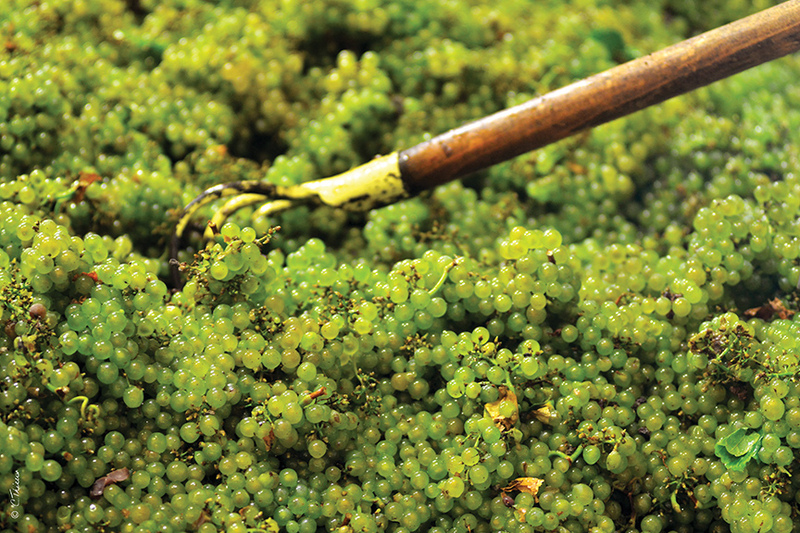 Enter Chenin Blanc. Another grape with origins in the Loire Valley of France, Chenin Blanc has really taken root in South Africa, which has embraced it as the country’s signature white wine. 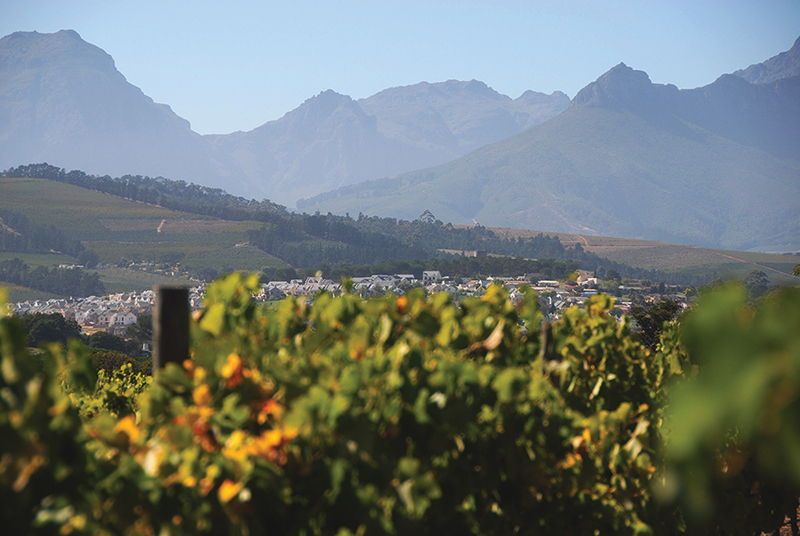 South Africa makes more Chenin Blanc wines now than any other country, including France. The high acidity of the grape is a wonderful counterbalance to foods that are briny and citrusy, while the floral-tropical fruit combination found in the best Chenin Blanc wines, like well-known and well-respected South African producer Simonsig Estate, bring a little zing to the quieter flavors of potato and green beans. It just goes to show that a well-executed mashup of cuisines can always find a great match in the wide, wide world of wine.